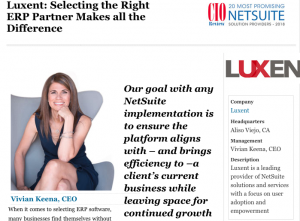 As novices to CRM implementations, we looked at several consultants and selected Luxent because of the depth of their Salesforce experience and their ability to listen to our requirements and provide a detailed proposal customized to our needs. We were not disappointed in our selection as Luxent worked very closely with us on the implementation ensuring that our project was customized to meet our company needs while being completed on-time and within budget. Our Luxent consultants were knowledgeable and responsive and a pleasure to work with. 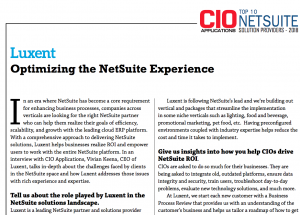 I would highly recommend working with Luxent for any company looking for assistance with implementing Salesforce.